A strong and well-woven storyform supports this entertaining and moving film. Noel Baumbach’s exploration of old vs. young amuses and delights and earns its 84% rating on Rotten Tomatoes by virtue of a wonderfully written screenplay. 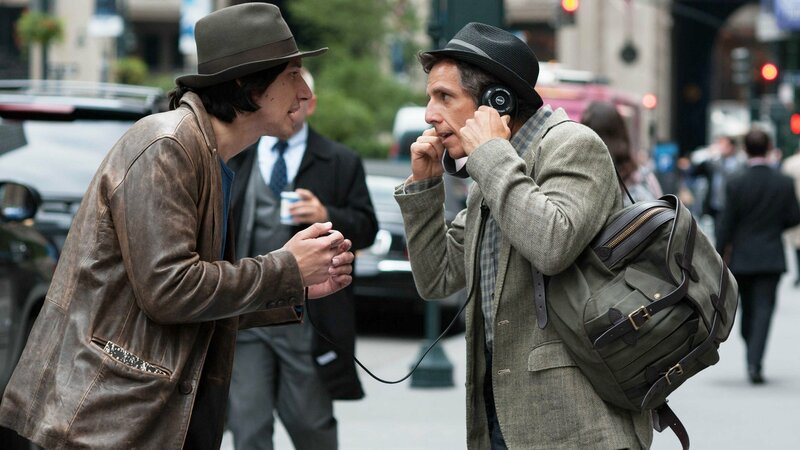 More than simply funny asides and slapstick scenarios, While We’re Young weaves a complex tapestry of throughlines and story points to argue a meaningful message in regards to growing up and growing old. This storyform remains consistent and strong throughout, a testament to Baumbach’s talent in crafting a great story. Josh Schrebnik (Ben Stiller) is a documentarian—or at least, he says he is. No one knows this because Josh has yet to finish anything significant. As the son-in-law of a respected documentary filmmaker Josh has much to live up to and much he wants to do before his “career” and his last opportunity to be respected as an artist slowly fades into oblivion (Main Character Domain of Situation, Main Character Concern of How Things are Changing, Main Character Approach of Do-er). In come hipster-couple Jamie and Darby Massey (Adam Driver and Amanda Seyfried) to shake Josh and his wife Cornelia out of their middle-aged malaise and to reignite the older couple’s passion for living (Story Driver of Action, Overall Story Domain of Manipulation, Overall Story Concern of Being). Street beach parties, hip-hop dance classes, and an ayahuasca ceremony fuel an insanely hilarious first hour that finds Josh and Cornelia driven to show that they can keep up with the younger generation (Overall Story Problem of Proven). Josh, seeing himself in Jamie, decides to take the young boy under his wing and show the young lad how to make a great film (Relationship Story Domain of Activity, Relationship Story Concern of Doing). The teacher soon becomes the student as Josh finds himself charmed and won over by Jamie’s unique insight into everyday life (Relationship Story Catalyst of Enlightenment and Relationship Story Symptom of Process). Jamie’s point of impact, his greatest influence on Josh, is that he could care less about whether or not he reports the truth with his film (Influence Character Problem of Accurate). As far as Jamie is concerned, it doesn’t matter how you get there, as long as you tell a good story (Influence Character Symptom of Process and Influence Character Response of Result). This cavaleir attitude sparks outrage in Josh and fuels many arguments between them over Jamie’s filmmaking process (Influence Character Domain of Fixed Aittude and Relationship Story Symptom of Process). Josh’s editor Tim (Matthew Maher), Josh’s wife Cornelia (Naomi Watts), and much to Josh’s surprise—even his wife’s father Leslie Breitbart (Charles Grodin)—pretty much side with Jamie: who cares how you get there (pay me, Paris, a finished film, respectively), just get there (Overall Story Symptom of Process and Overall Story Response of Result). An Influence Character enters a story primed to challenge the Main Character’s point-of-view. It can’t just be some random character or someone who disagrees with the Main Character—they have to have that special something that makes them and only them responsible for forcing the Main Character to grow emotionally. In Dramatica, this story point is known as the Influence Character’s Unique Ability and it ties the Influence Character to the Main Character’s Throughline. Worth describes the subjective value of an item or action to an individual. Of course, this varies greatly from individual to individual. This is the nature of garage sales — one woman’s trash is another woman’s treasure. Does this perfectly describe Jamie and his whole generation of LP-loving, VHS-worshipping, back-to-basics hipsters or what?? Making choices on the basis of Worth is an efficient way to get the most with one’s resources. And this explains Jamie’s power of Josh. Jamie is young and he’s doing the best he can with what he has—even if he has to stretch the truth a little. This infuriates Josh; as a documentarian, lying and fabricating the truth is the greatest sin (Main Character Symptom of Non-Accurate). A true artist would always search out the truth (Main Character Response of Accurate. Of course, the real problem with Josh is that he is afraid; too afraid to go to Paris on a whim, too afraid to have children, too afraid to finish his film. Years and years of building up justifications for why he can’t finish hide the true pain within: Josh has never proven that he can do the job as well as his father-in-law (Main Character Problem of Proven). Jamie’s point-of-view challenges Josh to grow to the point where the middle-aged filmmaker finally breaks free of his own self-destruction. No longer saddled by the weight of having to prove himself, Josh boards a plane with his wife to do something he has never done before and knows nothing about: adopting a baby (Main Character Resolve of Changed, Main Character Solution of Unproven). No longer bothered by Jamie’s success and the power of youth, Josh looks to the baby with the iPhone with mild concern (Story Judgment of Good).